When Blackberry Bridge made its debut with the first Playbook, it became possible for BlackBerry users to connect their Blackberry handset to their Playbook, to manage applications and more. With the release of the second version of the Playbook, called Playbook 2.0, new features have been revealed to give added functionality and enhanced performance. With the Playbook 2.0, the application still allows you to connect your BlackBerry smartphone to your Playbook so you can access important applications from anywhere, but if you happen to download BBM then know you can now easily open and use it from the Playbook 2.0. One step forward for BlackBerry Bridge was made in terms of functionality, with the added Remote Control feature. This virtually makes your BlackBerry phone turn into a remote control for your Playbook 2.0. Your smartphone will even try to follow gestures that will automatically be registered on the PlayBook. It will even be extended to a keyboard! Other functionalities that come with BlackBerry Bridge include the possibility to copy and paste messages and change the size of your message fonts. 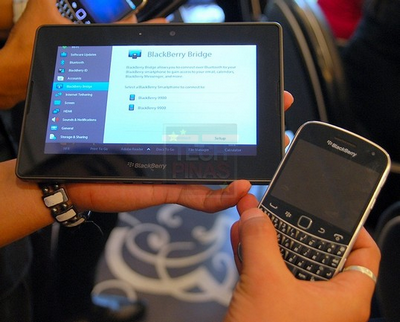 It also allows you to connect to the Web with your PlayBook using your BlackBerry smartphone. 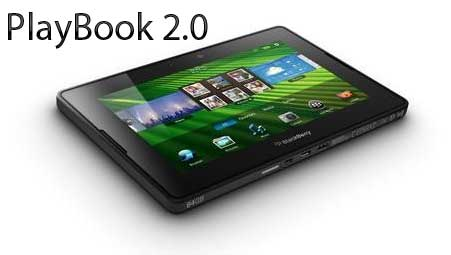 With all those cool features no doubt BlackBerry fans will rush to the Playbook 2.0 when it’s released! I didn’t even know that Blackberry even had a tablet out yet, so this is an eye opener for me. Blackberry technology definitely adds a certain feel to their creations that is different to other smart phones providers.